Fall is officially in the air, and so are fall trends! I love seeing and wearing the best of this season’s styles; from plaid, to booties, and giant scarfs. But what about the loyal, classic pair of jeans? I’ve always been a proponent of this fashion staple at any time of year. 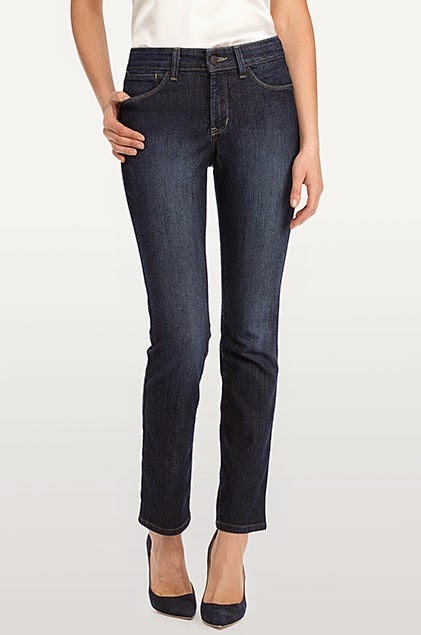 Allow me to show off my favorite takes on jeans for women! As a petite blogger, I’ve always appreciated the skinny jean. 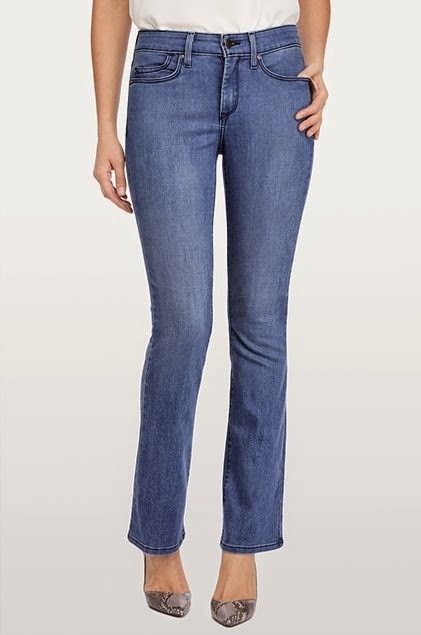 While they have a reputation for being a slimming jean, they hug your curves and can even give you added curves! They’re never baggy and can go with everything from heels, to boots, to flats. Love it! 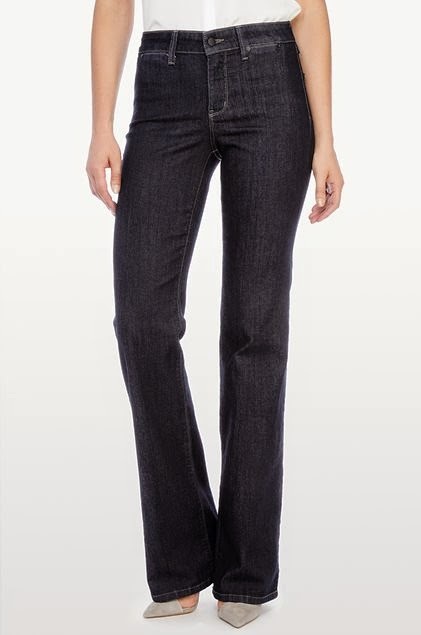 Trouser jeans are a great alternative to the skinny jean. Their high waist and wide bottoms make for a more vintage look, and work great with the giant coats and jackets you need in the cooler fall months. Wide leg, or boot cut jeans are kind of like the goldilocks of jeans. They’re not as skinny as skinny jeans, but they’re skinnier at the bottom than trousers so that they can more easily fit into your fall boots. It’s the best of both worlds. You don’t have to wear boots with them either – I wear them with heels like in the above picture. Another cut I love as a petite blogger is the short jean. Sometimes for those at my height, a regular jean cut will result in bunching at the ankles because the jeans are longer than your legs. Short cuts are perfect because they tend to be in better proportion to a shorter frame. The same goes for taller body types and tall jeans for women. If you haven’t tried these and you’re a taller or shorter woman, I highly recommend it! If you aren’t sure where to find some of these cuts, NYDJ is a great place to start. They have every cut of jeans imaginable and their website is super easy to navigate. 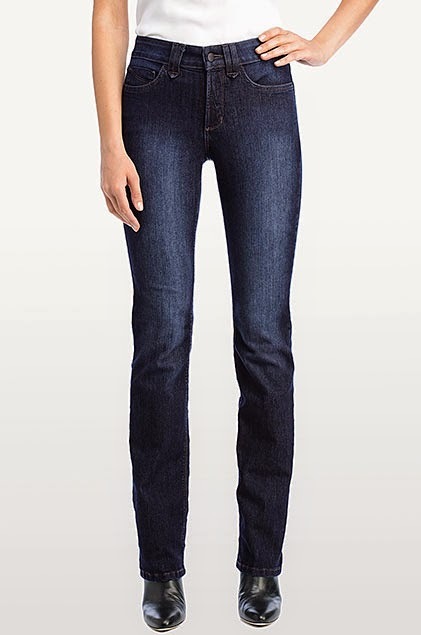 So there you have it – my picks for the best jeans for women in the fall! What’s your favorite jean style? Next Post Best Fall Jacket from Target 2014!